Buzzers, Google has been our best friend in college!! You know thesis and all those stuff, thanks to google we can just google it and get all the informations we need!! Google become very popular as a search engine and the most valuable company now! Can you think your life without Google? Well, I bet you can’t!! But how google can transform into Google that we know now and what is behind this company…here is top 10 interesting things you might not know about Google! So, Let’s Google it below!! 1. Google original named was back rub. It based on the system finding and back links. 2. Google’s name is actually should be “Googol”. But, the investors misspelled it as “Google”. 3. Google’s motto is “Don’t be Evil”! 4. PageRank is Google’s algorithm owned by Standford. 6. Google serves food to their employers. From vegetarian to meats!! But, the first google snack is Swedish fish, a chewy candy. 7. Employers is called Googlers and newbie is called Nooglers lol !! 8. Google doesn’t have lawnmowers!! 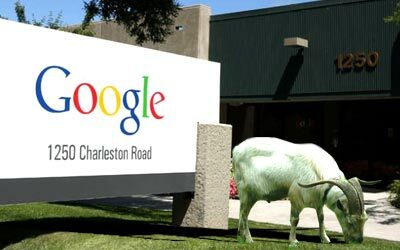 Google has Goats, they have around 200 goats! 9. The company that supporting #Dogsforwork is Google! Dogs can come to their office but sorry for the cats!! Cats are not that welcome because the number of dogs there! 10. Do you know Google has a reversed version of Google?? It’s called elgoog.im !! 11. Google use “typosquatter” to gain traffic from users! As its name if you mistype “gogle” or “gooogle” instead of “google”, it will direct you to google.com. This strategy reported by Bloomberg costs the top 250 performing websites upwards $250 million annually.